Introducing Panasonic’s brand new ultra-high-definition WV-SPV781L 4k security camera, which provides the crisp and clearest images ever experienced. It is vandal proof and packed with a multitude of ground breaking features. This outdoor 4K security camera offers extremely high picture quality, with 1/7th the file size of other 4K cameras thanks to our compression technology. 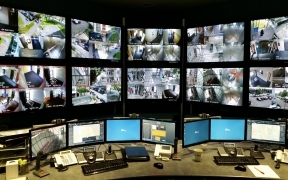 We understand the importance of wide angle viewing through HD cameras, and have ensured that our True 4K security cameras maintain crisp clarity in any area of their view. 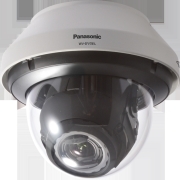 The 1/1.7” sensor located within the camera, in combination with the Panasonic True 4K F1.6 lens achieves low light performance at just 0.3lx in colour, 0.03lx in black and white mode or 0lux through the smart IR-LED function, being highly sensitive compared to competing 4K class surveillance cameras. Virtual PTZ operation allows the user crop certain areas in the camera view whilst still recording the whole area, so no event is missed in mission critical applications. The WV-SFV781L 4K camera also provides 17° to 96° horizontal angular field of view with a 16:9 aspect ratio and 17.0° to 100° horizontal angular of view with a 4:3 aspect ratio. The WV-SFV781L and WV-SPV781L are also weather and impact resistant with IP66-, NEMA4x- and IK10-ratings.